The project proceeded initially as a traditional design-bid-build approach until it became clear that approach would not be able to meet the project budget or timing needs. 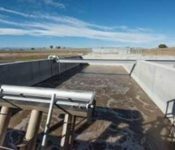 At that time, Berthoud officials decided to utilize the construction management at-risk (CMAR) delivery method and a competitive CMAR request for proposals was sent to pre-qualified contractors along with 50 percent design documents. The collaborative-delivery team invited Xylem, Inc. to supply an integrated package of major process equipment for the plant, inclusive of influent pumps, sequencing batch reactor, UV disinfection system, effluent pumps, and digester aeration equipment. 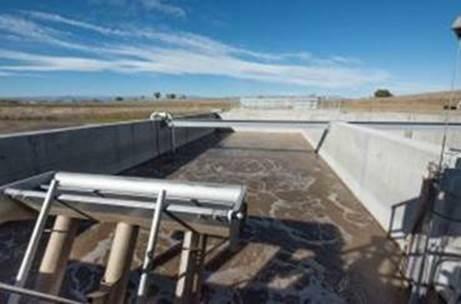 Since Colorado has tight effluent limits on new plants being built since 2012, town officials and the design- engineer pre-selected the treatment process incorporating Xylem’s specialized equipment, all of which was delivered as an integrated system. 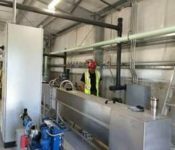 The combined approach of the CMAR delivery model and the major equipment integration brought the project to a timely completion within the project budget. Xylem’s advanced Sequencing Batch Reactor (SBR) — the Sanitaire (a Xylem brand) ICEAS (Intermittent Cycle Extended Aeration System) — allows for continuous inflow to the biological treatment basins and utilizes the advanced NDNP (Nitrification, Denitrification, Bio-Phosphorus Reduction) process cycle which can consistently meet the effluent limit of Total Phosphorus at 0.7 mg/l. 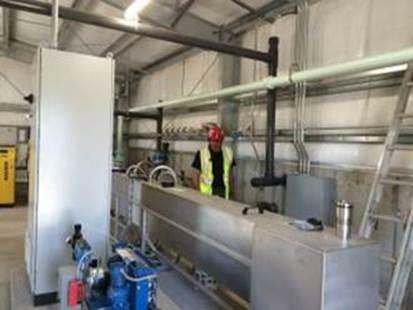 The Wedeco (a Xylem brand) TAKSmart open channel UV system was delivered to the construction site in a pre-fabricated stainless-steel channel to minimize construction efforts, and the pumping process and disinfection equipment controls were integrated into a single system, optimizing the overall cost and timing associated with procurement and installation. This delivery approach resulted in total project cost reduction of nearly $1 million below the original guaranteed maximum price, ultimately enabling the town to meet the $3.8 million project budget.